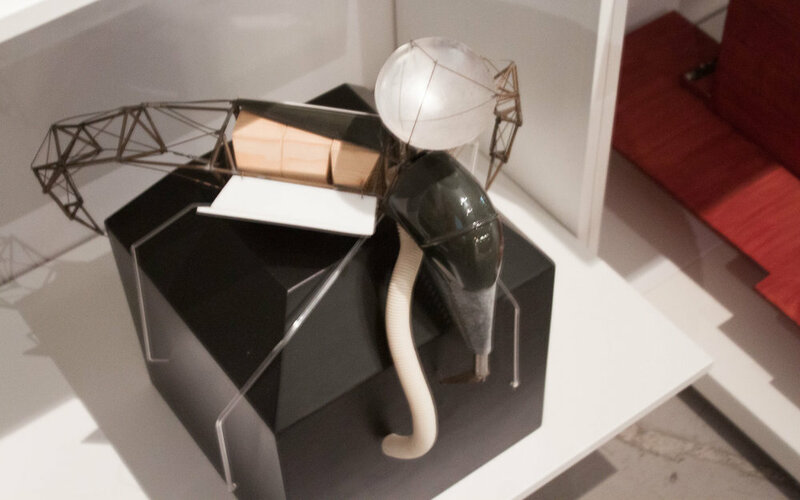 As the exhibition The Eindhoven School: a forgotten avant-garde travelled to Rotterdam, the focus for its presentation (and associated events) became the architectural production of the group, as well as a consideration of how it relates to contemporary architecture. 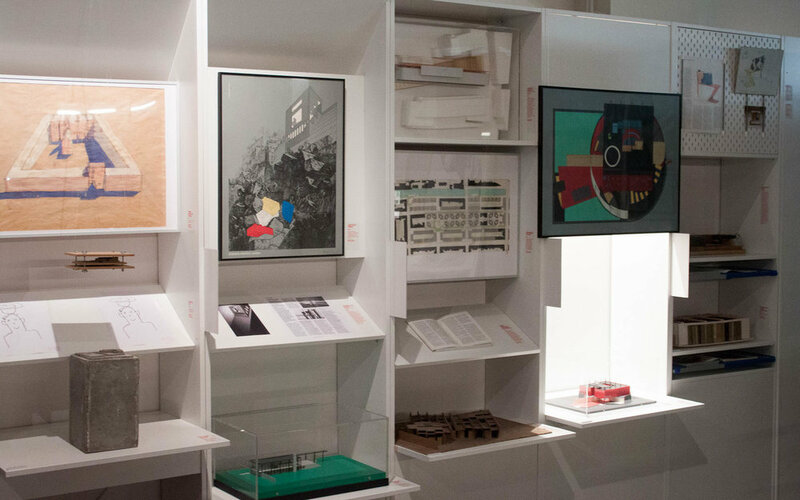 At OMI, the exhibition was rearranged providing honor of place to the architects’ cabinets, as they enveloped the main space of the exhibition (the same space where lectures and presentations were organized). 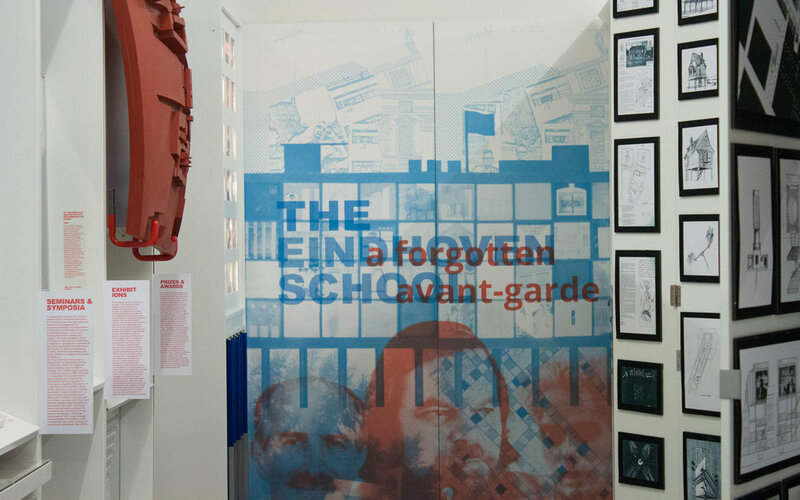 From that spatial center, two rows of material were organized, presenting the most important elements and objects regarding the Eindhoven School’s academic and intellectual context, its main instigators, and the way the original 1988 exhibition had been presented. 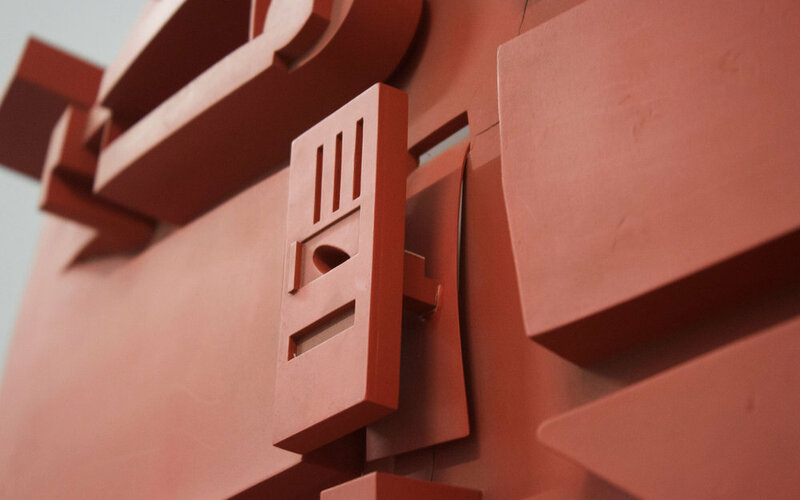 This installation was a true test to the flexibility of the curatorial strategy, since almost half of the original cabinets (and with it, almost half of the original material) could not be included in this iteration due to a lack of space. This venue’s shop window was also taken into consideration in the exhibition’s design, pairing productively with the display strategy developed for the exhibitions, namely of presenting multiple layers of contents, from the large images (that drew attention from the exterior) to the pull-out drawers filled with archival material.